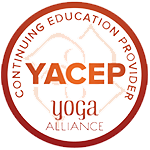 Our certified teacher training program creates a solid and well-rounded foundation in the art of teaching yoga. We are committed to providing each student with the necessary tools to teach with compassion, integrity and knowledge while honoring their own internal wisdom, and authentic voice. Each student will leave with confidence that they are ready to teach yoga to all students regardless of age, physical fitness, or injuries. 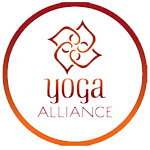 On completion of our training the student will receive a Barefoot Yoga Studio Certificate and will have met all of the 200-hour Yoga Alliance Certificate requirements. They may also be considered for a teaching position at the Barefoot Yoga Studio. Graduates of the program will have the opportunity to grow into teachers with wide ranging careers that include teaching classes, workshops and retreats or even opening their own yoga studio. Our regular Courses are Fall 4 Months Weekend Training, Spring 3 Months Weekend Training, and Summer 1 Month Weekday Intensive Training. The practice of the asanas is the basis of our teacher training philosophy. This foundational training will emphasize deepening the students’ personal asana practice, which we believe to be the greatest source for creative teaching. In addition to a strong asana practice there will be a comprehensive study of the techniques and mechanics of fundamental yoga postures, while providing the tools necessary to teach yoga to others. To facilitate a more scientific understanding of the body, the training will include the study of functional anatomy and physiology. The training will also give developing teachers a balanced understanding of yoga by moving beyond the physical with the study of Vippasana meditation, (encouraging students to develop a daily meditation practice at home), a deep understanding of Pranayama, and an exploration of the Chakras, Nadis, Kriyas, Dristhi and Bandhas. Over 2,000 years ago the sage Patanjali described the process of Yoga as a way to reach higher consciousness and peace in his writings known as The Yoga Sutras. These sutras (written as aphorisms) help to deepen the awareness of our relationship with ourselves, with others, and with our environment. Please notice our early bird tuition discount date on each course. Flexible payment plans available, please contact us for application. To apply, please write to us [email protected] for application form. Workshops of specific themes to deepen your practice of yoga, stay tuned!